Pretty much all of your post is wrong. "Which isn't true. They send posts from IPs that have been flagged as spam or trolling by the community here to a spam filter, which is then manually moderated." Not true. My ISP changes my IP reasonably often over a wide range of IPs (at least 3 different class As, and as a result there is a huge number of possible IPs). Since a post made immediately after an IP change heads directly to moderation, there is only one conclusion to draw. Clearly, it's not driven by flags. You aren't on the receiving end of this treatment, so you have no clue. Stop stating as fact what just isn't proven. "Neither are arbitrary price rises. More effective would be the changes to the packaging and other systems used by these companies which are both based in market realities from last century and reduce the value offered to customers who increasingly want bespoke choices." Not as simple as you make it sound. 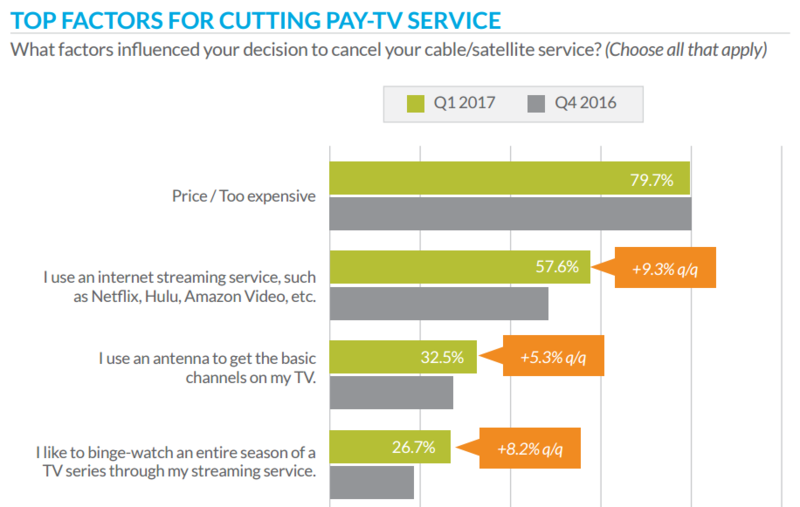 if changing packages around would lead to a drop in per subscriber income, or would encourage existing (and reasonably satisfied customers) to drop to a lower tier, you are shooting yourself in the foot. Cannibalizing your existing subscriber base to try to attract back a smaller group of lost clients may not be the best bottom line choice, that's all. It's a basic business concept that perhaps Mike can explain better for you one day. "you've avoided actually answering the points raised by the article"
Nope, I addressed them very directly. The cable industry doesn't "Refuse(s) To Compete On Price" as the article suggests, rather they are unable to arrive at a business model under the current circumstances that is better than the current model - and that is my point entirely. I didn't figure you would miss it. Next time I try to draw with crayons so you can follow along. Oh, and calling me a liar? Just keep attacking Paul, it makes you look classy.